To celebrate the eighth anniversary of Sands Resorts Cotai Strip Macao and The Venetian Macao travellers can enjoy savings of up to 40 percent for a limited time during the eight-day sale. Starting Friday guests will be able to make savings at five hotels thanks to the 8-day sale. From Aug. 28 to Sept. 4, guests will be able to book rooms for stays between Aug.28, 2015 to Feb.7, 2016 at The Venetian Macao; Four Seasons Hotel Macao; Conrad Macao, Cotai Central; Sheraton Macao Hotel, Cotai Central and Holiday Inn Macao Cotai Central. In addition to discounts, guests who book a room will automatically be entered into a lucky draw for the chance to win one of eight prizes. One winner will be drawn every day during the sale. Prizes include a “four day and three night” stay at one of the hotels at the integrated resort. The city of Tangshan – just two hours by car from Beijing – will be the newest location for the 301-room Shangri-La Hotel, Tangshan, opening this Friday. 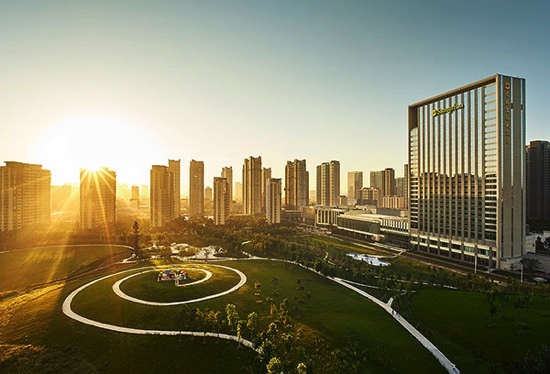 Shangri-La Hotel, Tangshan is located in the Phoenix New Town, a new eco-oriented urban area adjacent to the new financial and commercial hub. Located within the Tangshan Kerry Property complex, the city’s first integrated development, the hotel adjoins a shopping mall and landscaped park. Each of the hotel’s guestrooms and suites, ranging from 45 to 135 square meters, is decorated in natural tones, green carpets, Chinese-style paintings and local ceramic ware; while free high-speed Wi-Fi, a large workspace and marble bathrooms come as standard. To commemorate the hotel’s launch, special rates are available until year-end.